Life is Strange: Before the Storm Episode 1 is an incredible first look at the new season, and promises much for the future. 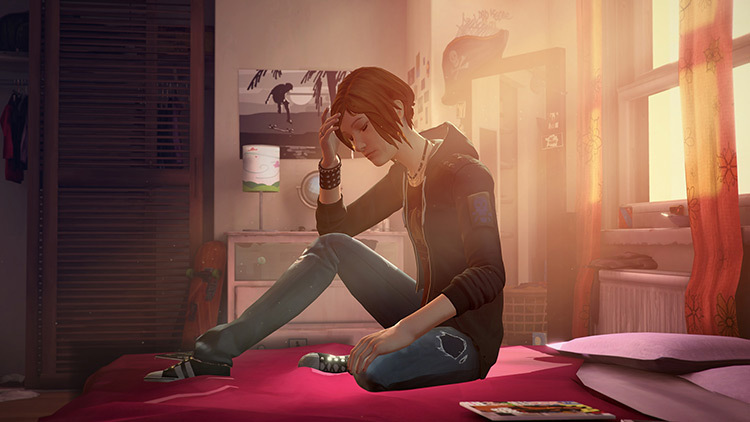 Deck Nine is clearly capable of taking over the reins from the excellent DONTNOD, and despite a switch in developer, a change in Chloe’s voice actress, and a new perspective for Life is Strange, the series is still unequivocally what fans have come to know and love – just amplified and refined, cranked up to eleven through its protagonists’ volatile and exciting relationship. Despite feeling hesitant going into Before the Storm, Deck Nine Games’ rendition of Arcadia Bay quickly reminded me of why I loved the series and its characters in the first place. Any fears of this being a cash-in on a beloved game melted away, and I was able to fully enjoy Awake without any second thoughts. I’m excited to see where Chloe and Rachel’s story goes from here, even if I already know how tragic it ultimately ends. Life Is Strange: Before the Storm’s Episode 1: Awake focus on themes of depression, loss, and the inability to fit in, which it does an excellent job at presenting throughout this first episode. Sadly, the episode’s main focus on Chloe and Rachel’s friendship can feel a little forced early on, but inevitably lands on plausible after learning about the mental state of each of the characters. Developer Deck Nine's contribution through Before the Storm posits that the pain is still worth it; just to have the time at all is enough. A storm is still coming to Arcadia Bay, and Rachel will still disappear one day, and it doesn't matter. Being able to spend time with Chloe when her heart is at its lightest, and putting in the work to keep it going, is powerful and worthwhile. Life is Strange: Before the Storm – Episode 1: Awake starts the prequel series off strong with a narrative that makes you care about Chloe in an all-new way. You see the beginnings of the person that we saw in the first game and who she winds up being makes a lot more sense when you see things in the context provided here. In the end, it comes down to this: if you thought the first season was good, you’ll love this one as well. If you didn’t, you’ll find nothing here that will convince you to reconsider your stance. I’m excited for whatever comes next, and I’m glad that Life is Strange: Before the Storm didn’t lose what made the first season great in the first place, which is always a concern when the studio developing it changes. Awake shows you a broken Chloe - someone at her lowest. Everyone hits those trying times in their lives, and what Awake does best is illustrate how much another person can make a difference in those situations. The emotional pull is strong, and the story's strength is its relatability. This first episode has me intrigued at how Chloe and Rachel Amber will make it through their distress, and it also has me rooting for them. 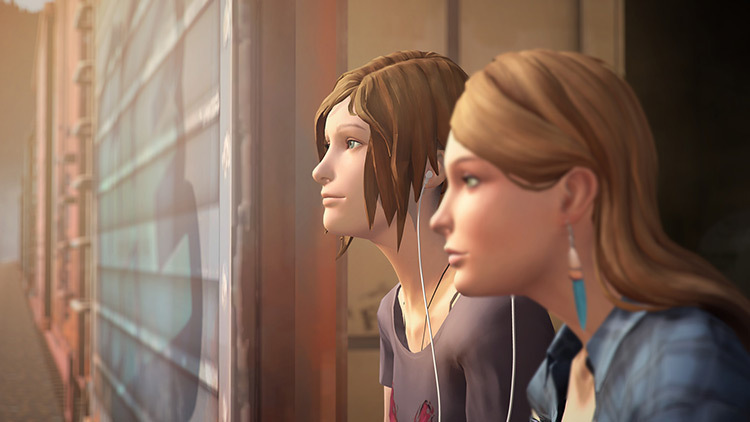 Life is Strange: Before the Storm is a beautiful journey through Chloe Price's teenage years. It's a brilliant exploration of what happens when a directionless teenager meets a special person that changes the course of their life forever. It's a journey that explores the themes of loss, love, finding one's self, and whether the road to happiness ultimately lies in truth. Episode One: Awake of Before the Storm is a surprisingly promising entry for the short three-episode series. There's the right amount of callbacks to the series that made so many fans fall in love with Chloe and Max in the first place. While I still wish the dialogue wasn't as teenager cringe-y in a not-realistic way, there's far more of it this time around that plain isn't. Hell, even Chloe's eventual over-usage of "hella" is explained in a tongue-in-cheek nod to the future. Awake' is a great start to what I hope will ultimately be a great game. 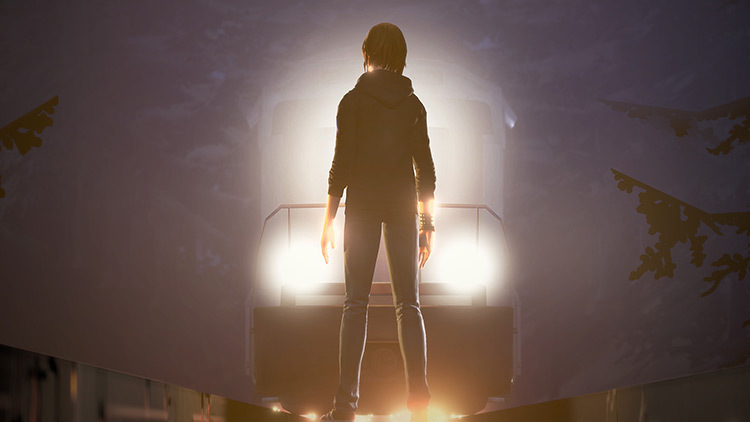 As a follow-up to Life is Strange, a game that is near and dear to my heart, I think Before the Storm is definitely on the right track and I eagerly await the remaining episodes. The first episode is a little slow, though we got to see some indication towards the end of where the major drama may lie, and naturally, Rachel is at the centre of this. With the season just spanning three episodes, we're interested to see how this continues after a relatively slow start and its many set ups. There's a lot of promise here, but we're still a bit unsure. Deck Nine Games has gracefully hurdled the obstacles in its way, with a rip-roaring episode that pulls back the curtain on Rachel Amber and begins a chain of events that we can’t wait to watch unwind. Life Is Strange: Before the Storm recaptures the spirit of the first season, but by framing the story around fan favourite Chloe Price, it has a much more rebellious vibe. Life is Strange: Before the Storm Episode One - Awake is a great start to Deck Nine’s mini-prequel series. Despite some hiccups, Before the Storm establishes a compelling cast and endearing game world that is just begging to be explored further. Life Is Strange: Before The Storm gets off to a moderately good start. Its characters are interesting, but the plot is entirely unclear right now, and is moving in a direction I'm not all that invested in. El primer episodio de Life is Strange: Before the Storm nos ofrece una aventura gráfica continuista y respetuosa con el juego original. Un buen comienzo para la historia de Chloe y Rachel que todavía tiene mucho que ofrecer. ¡Ha llegado el momento de volver a Arcadia Bay! Sin la capacidad de sorprender del original, Life is Strange: Before the Storm se mantiene como una aventura gráfica de lo más recomendable gracias al modo que retrata las emociones de sus protagonistas. La historia de Chloe y Rachel es interesante, bonita y por momentos emocionante; y lo mejor es la evolución que muestran ambos personajes a nivel emocional. No es un videojuego tan redondo como Life is Strange, pero sí hace honor a la serie en la que se basa. Queda pendiente todavía dilucidar exactamente el tipo de relación que Chloe establece con Rachel y que en este primer episodio se antoja algo abrupta. No falta química entre ellas, no falta atracción magníficamente expresada por un lenguaje corporal y una gestualidad depuradísimas, especialmente en el último acto, pero el vínculo recién nacido entre ambas todavía no ha cobrado cuerpo suficiente como para que uno se sienta del todo embarcado en esta hermosa aventura interpersonal. Si os gustó Life is Strange, os va a gustar este primer episodio de Before the Storm. No es el mejor episodio de la saga, durante las dos o tres horas que dura hace un gran trabajo devolviéndonos a Arcadia Bay, descubriéndonos el pasado de Chloe y dejándolo todo listo para, lo que parece, va a ser un movidito segundo episodio. 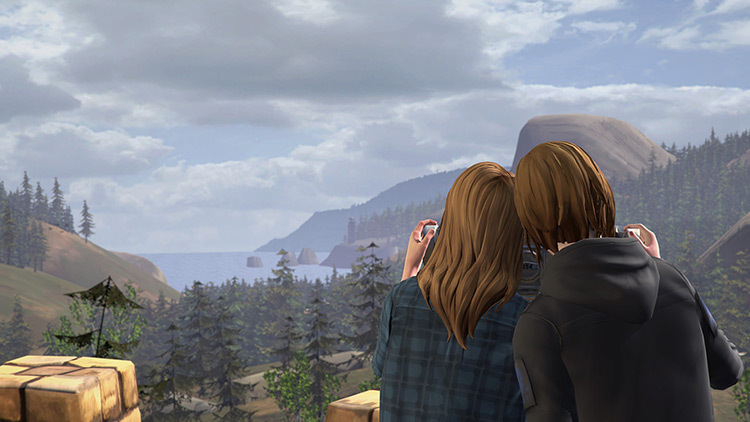 Life is Strange: Before the Storm geht nicht wirklich auf offene Fragen des Hauptspiels ein, sondern fokussiert sich auf die Geschichte einer Teenie-Freundschaft. Auch ohne die zahlreichen dramatischen Wendungen und Beeinflussungsmöglichkeiten des Vorgängers haben es DeckNineGames geschafft, dass ich mich stets für das Schicksal von Chloe und Rachel interessiert habe. Die zweite Episode aus Before the Storm ist für mich rückblickend der Höhepunkt des Spiels. Das Finale fällt im Vergleich zu stark ab. Unnötige Sammelmissionen, die nichts zur Handlung beitragen, verhageln den "großen Showdown." Trotzdem hat Before the Storm eine Daseinsberechtigung. Life is Strange seems to be in good hands. With this first part of the prequel, Deck Nine lays the foundations of an adventure that already seduces, because in the original line of the game on the levels of narration and atmosphere. It should allow us to learn more about a Chloe that we are more than happy to find thanks to human choices that are supposed to be important. Proposant une dizaine d'heures de jeu et une quinzaine si on fouille un peu tout, Before the Storm est une préquelle pas vraiment essentielle de Life is Strange. L'écriture, la mise en scène, la technique et le gameplay sont en deçà de ce que nous avait proposé il y a deux ans le studio DONTNOD et l'on retournera à Arcadia Bay par nostalgie plus que par excitation une fois le premier épisode ingéré. Fort heureusement, le second des trois opus que compose cette trame principale est assez réussi et nous offrira quelques moments mémorables. Svegliati segna un ottima ripartenza per una serie che ha insegnato, soprattutto alle nuove generazioni, che è possibile giocare ed emozionarsi anche affrontando temi piuttosto densi. Non solo quelli canonici, sebbene importanti, dell'amicizia, l'amore, la perdita delle persone care, ma anche tematiche attualissime come il bullismo, la droga, il ritagliarsi un proprio spazio in un mondo che ci sembra ostile. Certe situazioni si potevano approfondire un po' di più anziché relegarle a un ruolo troppo marginale ma va da sé che la decisione di fermarsi a tre capitoli abbia influito molto sulle priorità degli sviluppatori. Un plauso al personaggio di Rachel Amber, la cui caratterizzazione sapientemente sfumata l'ha dipinta come una ragazza modello e al contempo un'adolescente rotta, piena di crepe e pronta a spezzarsi da un momento all'altro. Il titolo di Deck Nine è rispettoso del materiale originale nella direzione artistica e nei contenuti, ma soprattutto non fa leva (eccessivamente) sulle emozioni scaturite dalla serie precedente per acchiappare il pubblico, mettendo in scena una storia solida e coinvolgente che, a modo suo, riesce a trovare una sua nicchia in quell' “ecosistema” creato da Life is Strange. 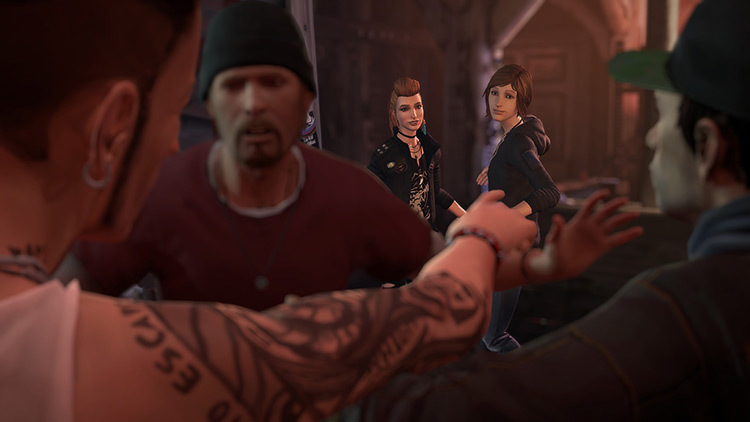 Life is Strange: Before the Storm zet een sterk verhaal neer met interessante personages. Backtalk is een wat minder interessante spelmechaniek dan het terugdraaien van de tijd, maar dat wordt ruimschoots gecompenseerd door de krachtige boodschap van de game. Elke Life is Strange-fan moet Before the Storm kopen. Het overtreft het origineel op vele fronten door nieuwe elementen te introduceren, waardoor keuzes maken interessanter wordt. Ik heb zelden zo'n goed geïmplementeerde soundtrack gehoord, waardoor alle emotionele momenten nog beter overkomen. Ook op technisch gebied is Before the Storm superieur ten opzichte van zijn voorganger, hopelijk weet het verhaal in de volgende episodes beter te overtuigen. 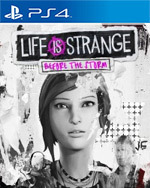 Ukończenie Life Is Strange: Before the Storm zajęło mi około dziesięciu godzin, aczkolwiek w każdym odcinku dogłębnie badałem każdy kąt, rozmawiałem z kim się tylko dało i starałem się narysować wszystkie graffiti, co prawdopodobnie wydłużyło mój czas obcowania z tytułem plus minus dwukrotnie. W grach wideo szukam przede wszystkim emocji i zapadających w pamięć historii, a ponieważ oryginalne Life Is Strange zachwycało na obu tych polach, jest to jedna z moich ulubionych gier ostatnich lat.